Peck Solar | Commercial and Residential Solar Installations, Planning, Design and More. Peck Solar will design and install the best Photovoltaic (PV) system for your property and financial needs. We create custom solar designs for every customer. Our longstanding relationships with local electrical distributors allow us to offer our customers affordable solar solutions. 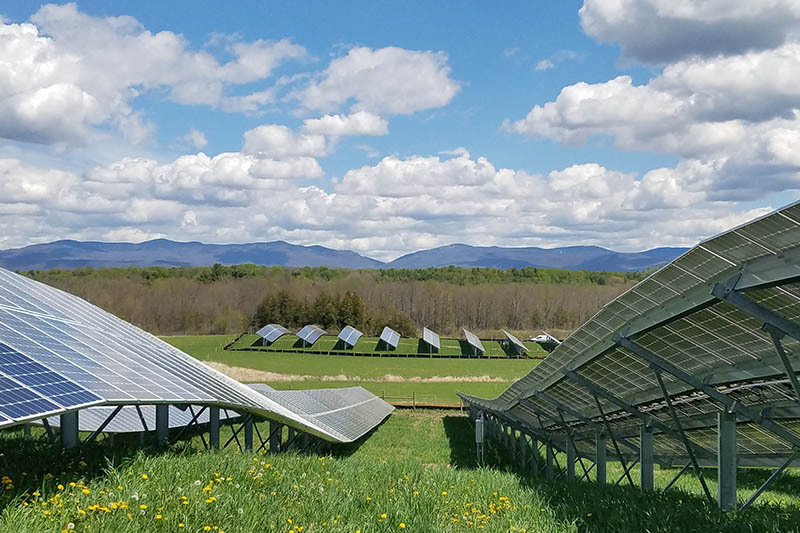 We are experts at navigating Vermont’s complex and changing landscape of solar permitting; and we maintain good working relationships with the Vermont’s utility companies. The strong electrical background of our integrated sales, design, and installation teams ensure that we install affordable, safe, and efficient solar power systems. We now offer VSECU Financing for Peck Solar Customers. VSECU is committed to helping members make smart investments in their homes and communities. We’ve teamed up with Peck Solar to offer VGreen financing to maximize your solar investment savings. Whether you have a big barn tucked into the foothills, or a nice spot set aside for a ground-mounted solar electrical system, we can evaluate your solar potential with a professional site survey and performance modeling software. We then provide you with cost-comparative options. 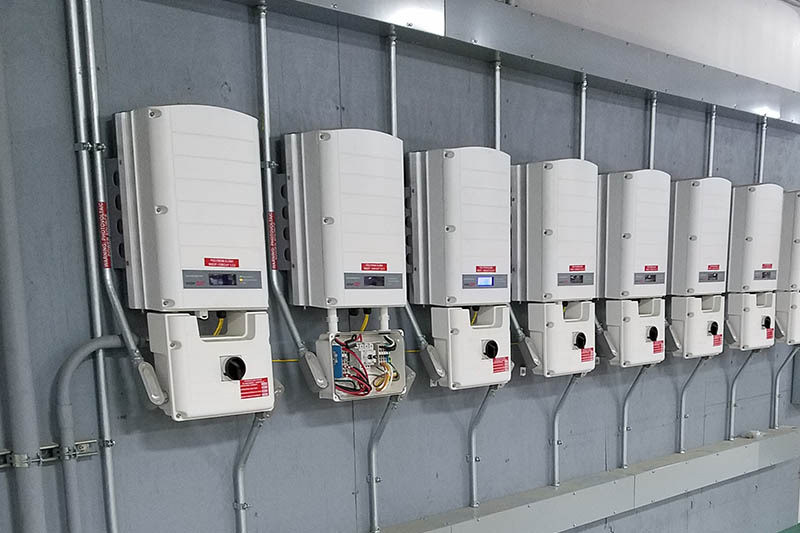 Peck Solar has the technical expertise, local connections, equipment, and manpower to get the job done on time and on budget. Our solar electricians are the best in the business and have been installing commercial solar systems in Vermont since 2007. The federal government currently offers a 30% tax credit on the total cost of your solar array, including parts and labor. This incentive lasts through the end of 2019. The incentive is reduced in 2020 and 2021, then expires in 2022. Accelerated Depreciation- Businesses, even home based businesses, may be eligible for accelerated depreciation on solar installations. 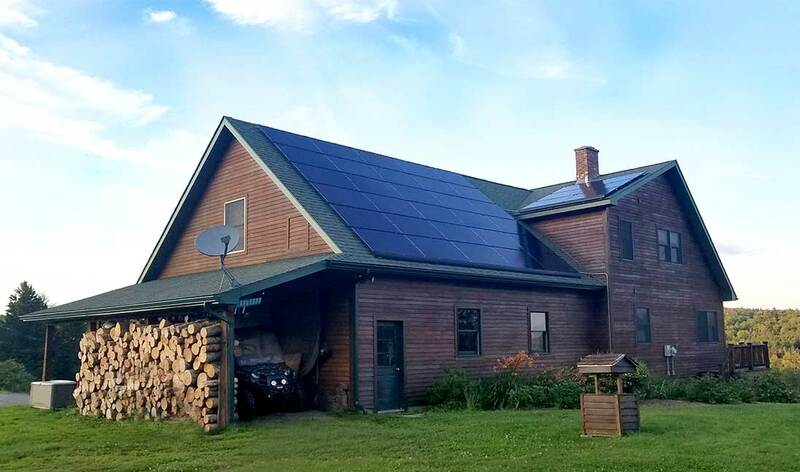 Vermont’s solar incentive changes from year to year, but you can count on us to stay up-to-date with all the money-saving opportunities available to our customers. Contact us today to inquire about Vermont’s current solar incentives. Peck Solar offers full-performance benchmarking services, including I-V curve traces and infrared thermal imaging. Combined with an affordable annual inspection, pro-active site maintenance, and remote monitoring services, you can be sure your solar array is operating at its full potential. In the event of power loss, our team of dedicated solar professionals will respond by the next business day, and handle any associated warranty claims and follow-up documentation. 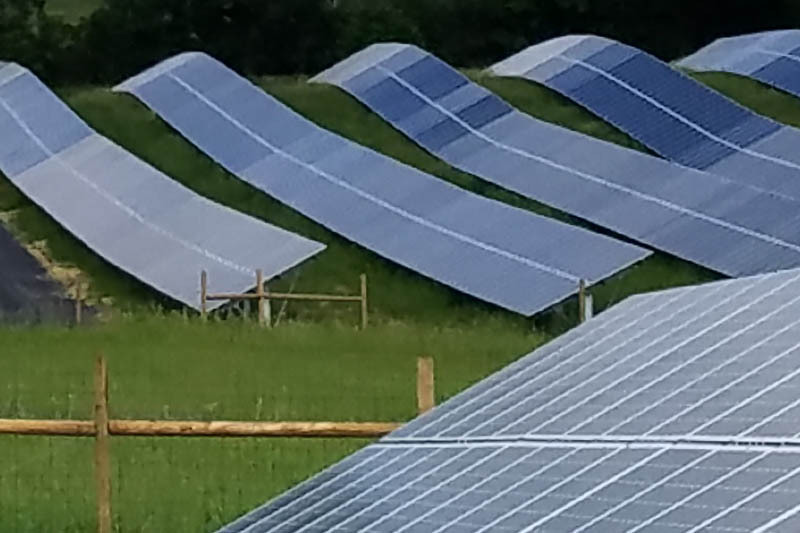 Our electricians have installed over 20 megawatts of solar power in Vermont, in small cabins to 15-acre fields. That’s more than 100,000 individual solar panels! Whether you are just starting to consider solar power, you already have an approved solar project ready to install, or your aging PV array needs a check-up, we are here to help! 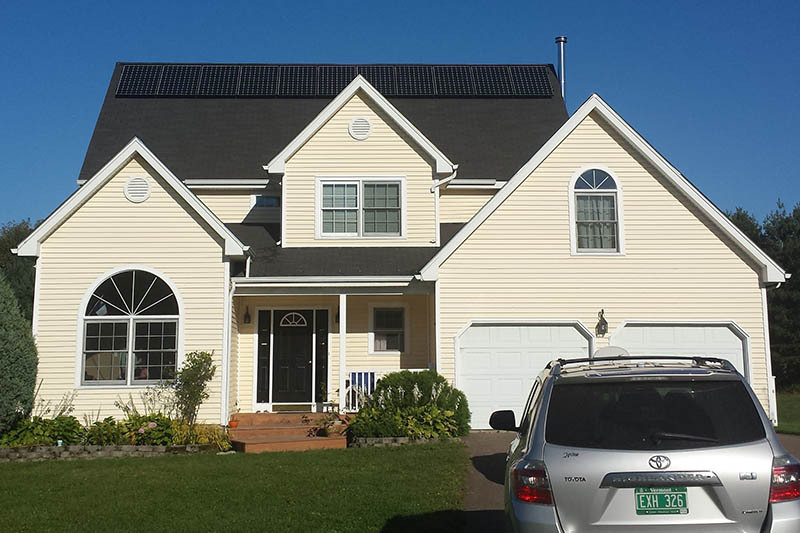 A 10.1kW solar array installed by Peck Solar, using EcoFasten RockIt racking system manufactured in Morrisville, VT.